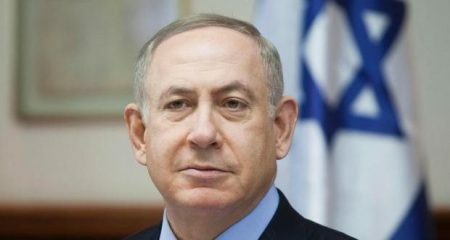 The National Bureau for Defending of Land and Resisting Settlements has warned against Israeli PM Netanyahu’s maneuvers to hold a celebratory cabinet meetings in the illegal settlements built in the West Bank, on the occasion of what he named “the Silver Jubilee of liberating the West Bank,” adding that holding such a meeting in any settlement in the West Bank sends a clear message to the world on the Israeli position about the West Bank, East Jerusalem and the occupied Syrian Golan. As well as its position regarding international law and legitimacy, including Security Council resolution 2334, which condemns Israeli settlements. The right-wing, pro-Netanyahu and settlement Makor Rishon’s newspaper, funded by Jewish-American casino mogul, Sheldon Adelson, reported that, during his participation in the meeting of the Foreign Affairs and Defence Committee of the Knesset, last week, Netanyahu said that the next meetings of the government will be held in Jerusalem and settlements of the West Bank, so as to commemorate the 50th anniversary of liberating the Judea, Samaria, the Jordan Valley and the Golan Heights, besides a final celebratory festival in the Kfar-Etzion settlement. Netanyahu also instructed Miri Regev, Minister for Official Ceremonies, to prepare for those events. At the same time, the National Bureau denounced the Israeli occupation municipality in Jerusalem’s approval of a budget for further Judaization of the city, as it managed to increase government allocations up to NIS 700,000,000, two weeks ago. Mayor Nir Barkat described it as a victory. The city’s interface budget has been increased to NIS 66.000.000, with the education budget at NIS 124,000,000, and the municipal organization and renewal up to NIS 323,000,000, while excluding the Palestinian neighborhoods of Al-Eeesawiyya and Ras Al-Amud from the budget, leaving their buildings houses susceptible to collapse. Within the ongoing Judaization of the city, a new Judaizing scheme has also been achieved with the aim of erecting a national park of 800 meters on an area of 37 dunams. The geographical importance of the site stems from being a crossing point for all Jerusalem neighborhoods and having the biggest underground water tank. Moreover, as the Israeli Knesset approved, in preliminary reading, the anti-prayer call or “Muzzein” bill, which is a sort of racial incitement against the Palestinians, the Bureau called on the international community to immediately intervene in stopping the adoption of this law, and ensure the freedom of worship and access to holy places in Palestine. After the approval of the a law, the Knesset intends to amend law no. 109 of the Planning and Building committee, which aims to speed up demolition of Palestinian homes. The law also includes the expansion of the duties of the committee, enabling it to issue demolition orders against unauthorized construction and reduce the powers of the courts to postpone it, and to raise the fines and tighten measures against Palestinians. Israeli occupation authorities issued final demolition orders against 140 buildings at (Bedouin) Al-Khan Al-Ahmar, in C area, east of Jerusalem, which is under Israeli control according to the Oslo agreement, including a primary school, which was funded by donors, where 170 children are studying in it. The Central Court in Jerusalem rejected an appeal submitted by Ashraf Fawaqa’s family, in Sur-Baher village, against the demolition of its home, built 6 years ago. Ashraf explained that he tried to license his house, but in vain, adding that he paid NIS 200,000 for the lawyers and engineers to postpone the demolition orders. Ma’oon settlers, near Al-Tawanah village, destroyed scores of olive saplings and sprayed toxic pesticides on crops, after cutting the barbed-wire fence around the land belonging to citizen Fadil Rabei and his brothers. Moreover, occupation authorities issued demolition orders for 13 buildings near Yatta town, and demolished a nearby house belonging to citizen Badwan Abu Aiadeh, under the pretext of being built without a license, as well as 30 homes, a school, tents, water wells, solar panels, sheep barns and barracks. Israeli bulldozers demolished the main road to Nahalin village, in Bethlehem, knowing that a decision was taken to keep the road open, 2 years ago. At the same time, Israeli forces seized a house under construction, at Takoa town, belonging to Jom’a Mohamed Ali, next to the Khansa Basic School, and then turned it into a military point. Citizens Abdullah Shana, and Miriam Salman were attacked by settlers in the Far’ata village, while farmers from Flamah village east of Qalqilya complained of the Israeli occupation authorities preventing them from reaching their agricultural lands located behind the Apartheid Wall, as they intend to Judaize the lands and prevent their owners from reaching and accessing them, and then annex the Kochav-Yair settlement. Scores of settlers from Yitzhar settlement, near Hawara town, attacked the town and were then confronted by the people. Moreover, occupation authorities issued final demolition orders against a school funded by donors near Khirbet Tana, Nablus. Farmers from Salfit complained of lands destroyed behind the wall, as settlers bring their animals and their livestock to graze among the trees, while settlers from the Ariel settlement erected 2 cemeteries and a well, and annexed them to the settlement. Within this context, a settlement rapidly crawls toward Al-Shajarah village, north of Salfit. Farmers, who must obtain permits for their land, said that the occupation has nearly reached the wall, while bulldozers continue to vandalize, scraping a contemporary image of an ancient tree carved in the rocks around the village, keeping the main village landmarks and smashing through outposts along them; whereas the tree contains traces of different eras and caves, wells, roads and sidewalks. Within the framework of restricting Palestinian citizens and pushing them to leave the area, Israeli occupation forces detained shepherds in the area of Khalit Hamad, which settlers of Mehola try to capture, while members of the so-called “natural reserve authority” prevented farmers in the Jordan Valley from picking certain plants and confiscated what they had. Moreover, exclusive photos taken by Palestinian media showed that settlers bulldozed large areas in the Jordan Valley, in order to establish housing projects. Moreover, the occupation government has announced a grant of 50 dunams to settlers in the region, for the purpose of erecting their own projects on them. Israeli bulldozers also uprooted more than 350 palm trees in an area within the boundaries of Jericho city, from the northern side, classified as B Zone and C Zone. Furthermore, settlers in the Jordan used ropes on lands extending from the Brooch settlement to Roteem settlement, in an attempt to confiscate it later on.